Home > Browse > Lucky stiffs mean fewer troubles! 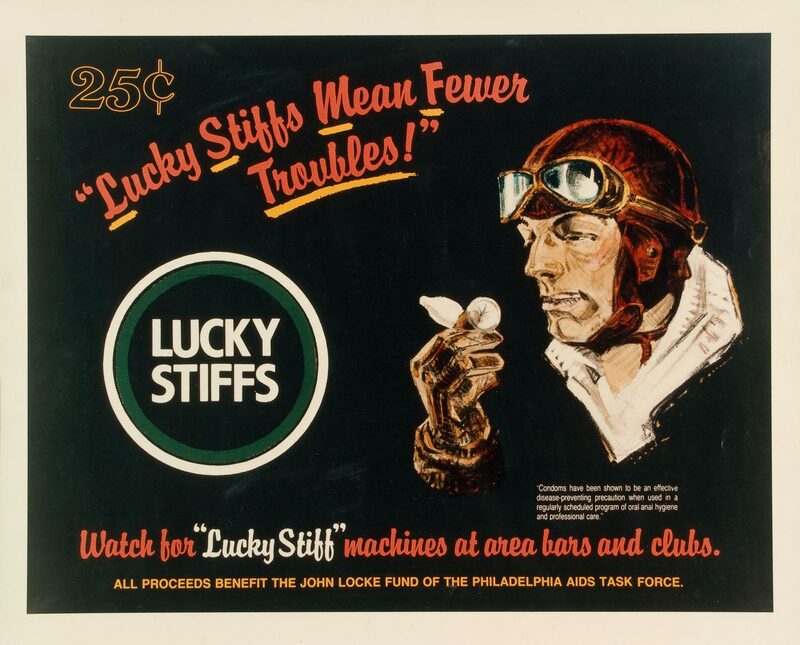 Lucky stiffs mean fewer troubles! "Watch for LUCKY STIFFS machines at area bars and clubs." "All proceeds benefit the Philadelphia AIDS Task Force and the John Locke Fund." Illustration of a man wearing goggles and an airplane pilot's leather hat, holding an unrolled condom, in a parody of the Lucky Strike cigarette advertising from World War II.